Used with the SE-325, SE-330, and SE-330AU to continuously monitor the continuity of a neutral-grounding resistor on systems up to 1 kVac. Used with the SE-330HV to continuously monitor a low-voltage very-high-resistance neutral-grounding resistor. Moisture-resistant enclosure specifically designed for the ER-600VC and ER-1000HV, which protects the connection terminals from snow and rain in outdoor applications. Used with the SE-325, SE-330, and SE-330AU to continuously monitor the continuity of a neutral-grounding resistor on systems up to 5 kVac. 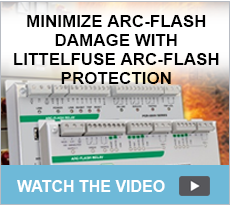 Comes with weather-protected terminals for outdoor installations. neutral-grounding resistor on systems up to 5 kVac. Used with the SE-325, SE-330, SE-330AU, and SE-330HV to continuously monitor the continuity of a neutral-grounding resistor on systems up to 15 kVac. SE-330HV to continuously monitor the continuity of a neutral-grounding resistor on systems up to 25 kVac. Used with the SE-330, SE-330AU, and SE-330HV to continuously monitor the continuity of a neutral-grounding resistor on systems up to 35 kVac. ground-fault current. Flux conditioner not required. ground-fault current. EFCT-1FC flux conditioner available. ground-fault current. Flux conditioner included. Provides a 5-W ground-check termination between the ground-check wire and ground. Provides a 50-W ground-check termination between the ground-check wire and ground. 50-W ground-check termination assembly with convenient mounting holes and screw terminals. convenient mounting holes and wire leads. Small Format Termination Assembly Compact 12-W ground-check termination assembly with convenient mounting holes and screw terminals. with convenient mounting holes and wire leads. Compact 12-W ground-check termination assembly with convenient mounting holes and screw terminals. For splitter applications. Both terminations must be present. Remote indication and reset for the SE-105 and SE-107. NEMA 4 and NEMA 13 rating. Remote indication and reset for the SE-105 and SE-107. Panel-mounted remote indication for the SE-105 and SE-107. NEMA 1 rating. Remote indication and reset for the SE-134C and SE-135. NEMA 4 and NEMA 13 rating. Standard 22-mm mounting. SE-325. NEMA 4 and NEMA 13 rating. Panel-mounted remote indication and reset for the SE-325. NEMA 1 rating. Remote indication and reset for the SE-330, SE-330AU, and SE-330HV. NEMA 4 and NEMA 13 rating. Standard 22-mm mounting. Remote Indication of overload, phase unbalance, and overtemperature trip events for the PGR-6130. Remote reset included. Remote Indication of overload, phase unbalance, and undercurrent trip events for the PGR-6800. Remote reset included. Used with SE-EPI Energized Phase Indicator.. Optional network-interface and firmware-upgrade communications adpater. Field installs in EL731. neutral-grounding resistor on systems up to 1 kVac. Provide back-plane mounting options for the EL731. Allows connection of RJ45 socket to PC 9-pin serial connector (TIA-232). Includes 1.5m cable. Connects current transformers to the IDM-3. Adds differential protection to the MPS and MPU-32. Compatible with 3-CT core balance and 6-CT summation connections. Ni120, and Cu10 RTD's to the MPS or MPU-32. Certified for use in Class I, Zone 2 hazardous locations. Allows relays to be used in a wet environment. NEMA 4 rating. Shown mounted on the MPU-16A. Used for MPU-32 or FPU-32 surface-mount applications. Interface between MPU-32 or FPU-32 and 5-A-secondary, 1-A-secondary, and sensitive current transformers. Ring-tongue terminals. Panel-mount indication of ground-fault current; compatible with 0-1 mA and 0-5 V analog output signals. range of 0 to infinity. Provides a phase connection to an insulation monitor for medium-voltage systems up to 5 kV. for medium-voltage systems up to 6 kV. Panel mount an SE-601 or SE-70X-series ground-fault monitor. Separate ground-fault and ground-check indication contacts for the SE-105 or SE-107; separate ground-fault and resistor-fault indication contacts for the SE-325. Adapts the SE-400 for portable use. SE-400 sold separately. Multiple-circuit testing with single ground-fault-relay tester. Converts a TIA-485 signal from an MPS, MPU-32, or FPU-32 to a TIA-232 signal for a computer or PLC. Allows connection of an RS-232 cable to a USB port. SE-13X- and SE-330-series relays, as well as the SE-400. Allows relays to be used in a wet and dusty environment. Provides IP65 protection for the SE-145. Allows relays to be used in a wet and dusty environment. Provides IP65 protection for the FPS-OPI and MPS-OPI. Indicates presence of voltage on three-phase bus..